On 3rd December 2018, Keith Medgett and Daniel Deckers were delighted to be invited to attend ‘Northchill’, a relaxed social event hosted by Maiden’s Swedish bank partner, Northmill. It was a great opportunity to talk about the Maiden – Northmill relationship, and to spend time meeting new people at this fast growing ‘fintech’ company. 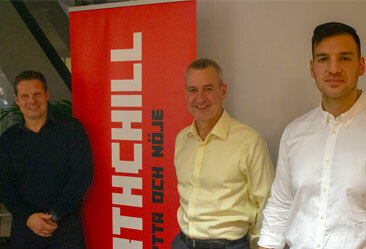 Keith and Daniel are pictured here with Babel Poli, Chief Product Officer at Northmill.